The Walking Dead: The final season will be completed on March 26, 2019. This is the end of the series many thought would never happen after the collapse of Telltale. Luckily, Skybound Entertainment saved the day and ended the series. After completing the multi-episode series next week, none other than Robert Kirkman, creator of The Walking Dead, shared some kind words in the latest issue of the comic The Walking Dead. 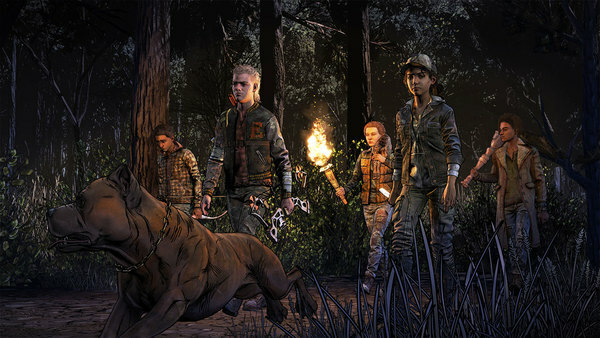 "The Telltale At Skybound, the game has been a real pride at this point for several years. It's bittersweet to see it close to completion, but it's also rewarding to have gone on this journey and to be able to step in and make sure it's packaged properly. I hope you all like it very much! This was followed by a few words from Skybound Entertainments Senior Vice-President / Editor-in-Chief Sean Mackiewicz. "The FINAL Episode of Telltales's The Walking Dead: The final season will be released on every system You play your rotted video games. Many talented people have put a lot of effort into creating this episode and bringing the season (and the series as a whole) to a heartbreaking conclusion … so let us know what you think. There is a lot of action that you can enjoy in this episode. So much so that you will never notice all the horrible things that are going to happen to Clem, AJ, and business … #StillNotBitten (for the time being). "